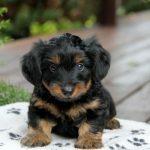 The Dorkie is a small designer mixture breed or a cross breed of Dachshund and Yorkshire Terrier breeds. 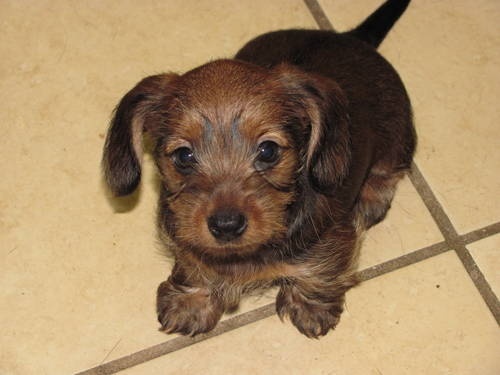 The name Dorkie is also derived from the names of both the breeds. 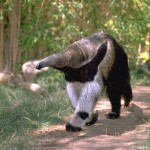 They are generally bred for hunting the small animals like badgers, rodents and vermin. 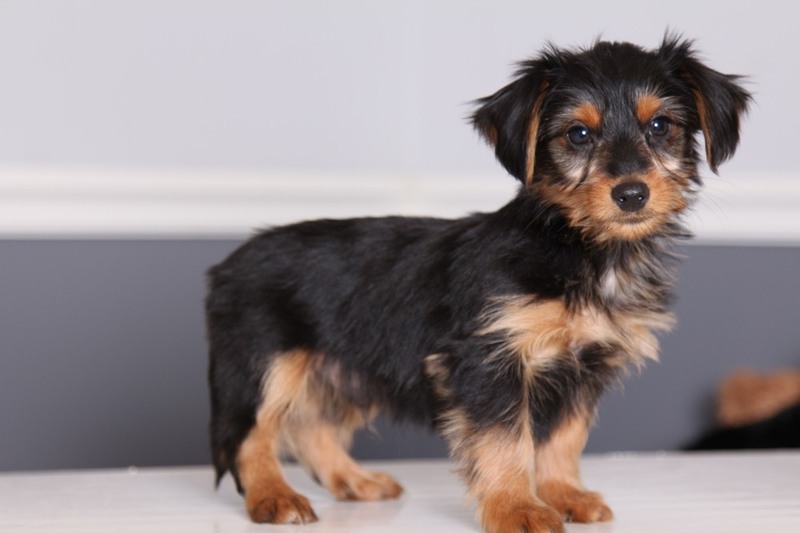 As the Dorkie is a hybrid canine it has combined characteristics of both the parent breeds. 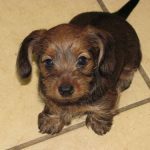 Now, Dorkie has also become a companion dog rather than a hunting animal. They are very loving, loyal and good family dog; they are good lap dogs. They always lie under the covers and they like to sleep along with their masters. They suffer from aloofness if they are left alone. The Dorkie needs companion ship as they are dependent. The Dorkies can be easy trained as they are smart and responsive to the training. The Dorkies are very friendly and gentle dogs; they are good with children and are very kind to them. They are good with other pets like cats, birds and also they are good with other dogs. Consistent training and firm leader ship is necessary and proper socialization is also needed. The Dorkies are hypoallergenic dogs and they are good for allergy sufferers. 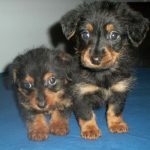 The price of Dorkie puppy is about $800 to $1000 USD on an average. 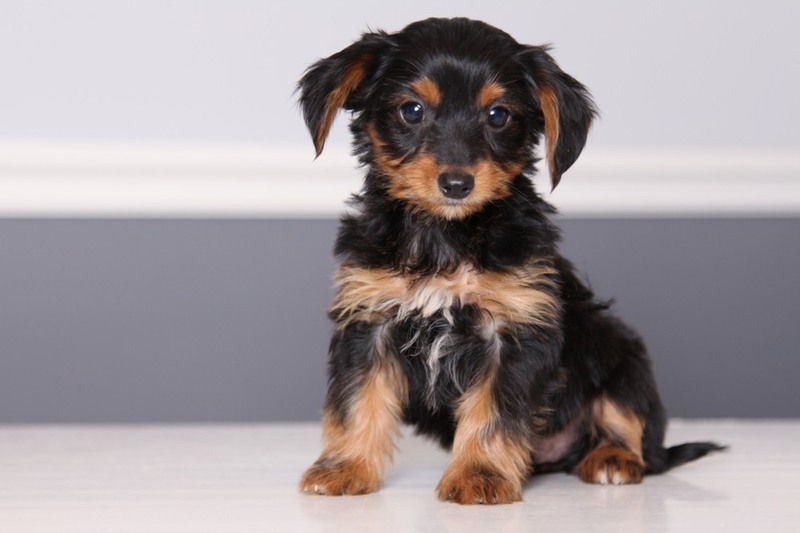 As the Dorkie is a mixed breed canine, this inherits several characteristics from the parents. 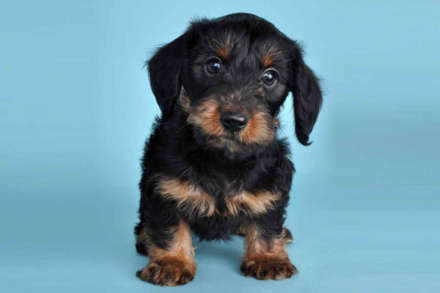 The appearance of the Dorkie may also have the combined look of both the parents. The Dorkies have longer body and short legs. The ears may be either drooping or erect. The head of the Dorkie is well-proportioned which is slightly wedge shaped. The coat of this canine is either short & soft or long & smooth. They come in various colours like black & tan, gold, grey and black. 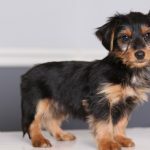 The size of the Dorkie may range between 5 to 9 inches (13 to 23 cm) on an average and the ideal weight of this breed is about 5 to 12 lbs (2 to 5 kg). This small canine is gentle, happy and affectionate in nature. They like to be cuddled up and it is a lap dog. It loves to be part of the family and they are good extroverts. They are very good with children as they are very kind and gentle. They are vocal and alert; they have good barking capability and warn the owner about the strangers. They are energetic dogs but very sleepy and sleeps almost 18 hours in a day. They are easy to train as they are responsive to the training. The Dorkies are afraid of large dogs and they are not meant to be left alone for more time. They are extroverts and they like to hang out with the family. Though the health issues of the Dorkie are not made out but still it may suffer from genetic problems. They are prone to skin allergies and skin problems. Regular checkups or observation over the dog’s health helps to keep the pet healthy and fit. Healthy diet is necessary to maintain the pet’s health and fitness. They need proper diet to keep their regular activities in form. About a cup of feed will be sufficient that should comprise of dry food, solid food and liquid food. Do not over feed the dog as they may lead to over weight problem. The pet should be fed with good quality feed and fresh drinking water. The Dorkies are good apartment dogs and can fit in the urban life. They need to be in secured areas, make sure the house is fenced and well-secured. They can do well with or without a yard. The exercise requirements of the pet should be attained. They are active indoors and they a play in the yard if it is present. The Dorkies are mostly sleeping dogs which almost sleep 18 hours in a day. The pet needs to walk daily even for short distance or around the Dog Park. The Dorkie plays a lot and like to play games with the children or toys. They are good hunting dogs and they need to be in fenced areas so that they cannot go on chase. The pet should be on leash in public areas and the Dorkie pulls the leash always and like to stay near the owner. They are small dogs and the danger may come in the form of bigger animals, large dogs, hawks, coyotes and dog thieves. They need to be protected from the external animals and dangers. They should be on leash in public areas and on daily walks. 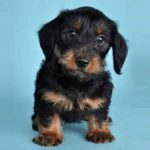 This is a cross breed canine and it is bred by crossing Dachshund and Yorkshire Terrier. The pet can be ready for breeding after attaining maturity and physical fitness. 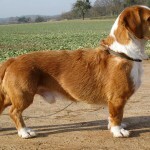 Professional breeding is recommended as this is a hybrid breed and this is a healthy process. The pet should be in good health condition at the time of breeding. 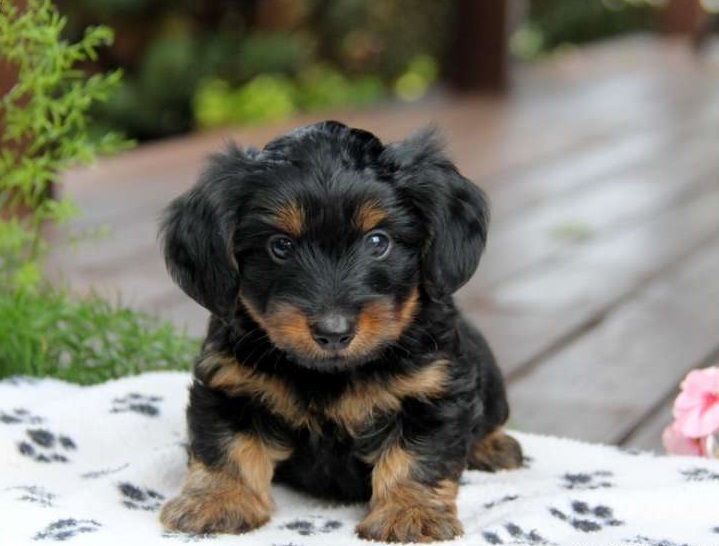 The Dorkie may have an average litter size that may give birth to 2 to 5 puppies on an average. 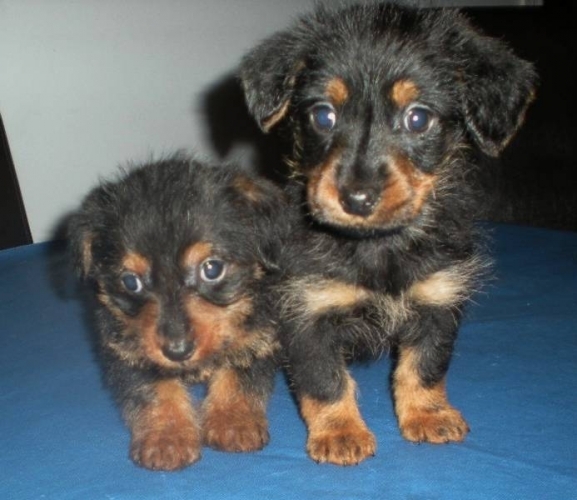 The Dorkie puppies are very tiny in size and need utmost care and attention. 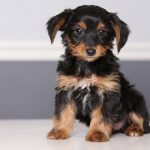 The average life span of the Dorkie is about 10 to 13 years and they can survive up to 15 years in some cases. Under proper care and rising the pet in healthy environment keeps the pet healthy. The Dorkies need less grooming requirements and it is easy to maintain. Brush the coat once in a week to keep the coat clean and tidy. Remove the dead hair or loose hair by stripping or combing. Occasional bathes are sufficient or if they get dirty. Trim the nails if they grown and brush the teeth regularly to avoid gum diseases. Clip the coat if it is necessary but note that clipping the coat often may affect the coat’s texture. Clean the ears with cotton ball and clean the area around the eyes to avoid the infections. They are minimum shedders and sheds little to no hair. Regular grooming prevents the coat from heavy shedding and keeps the coat clean and tidy.